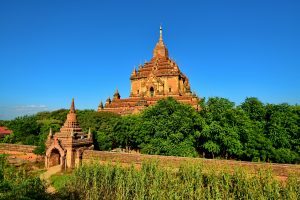 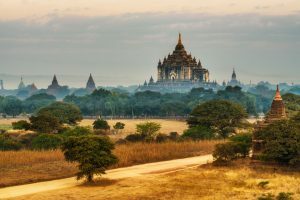 A interesting trip in Bagan is required to get to Shwezigon Pagoda, the most significant shrine of Bagan. 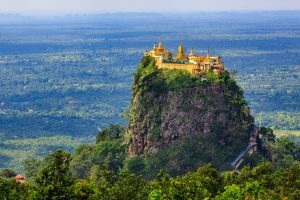 It is said that the structure was built to enshrine one of the four replicas of the Buddha’s tooth in Kandy, Sri Lanka. 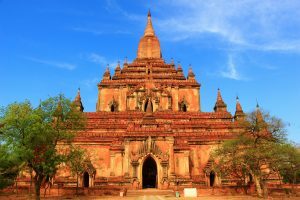 Location: Northwest of Kyanzittha Umin near the banks of Irrawaddy River, in the regions of Nyaung U and Wetkyi-In.